From May 16-19, 2016 almost 6000 global advocates descended in Copenhagen in solidarity around the rights of women and girls. This was the second time that HCC had the honour of participating in this unique conference which is held every 3 years. Maisha Hutton, with support from the American Cancer Society, attended the last Women Deliver 2013 in Kuala Lumpur where she shared HCC’s work on the prevention and control of cervical cancer. 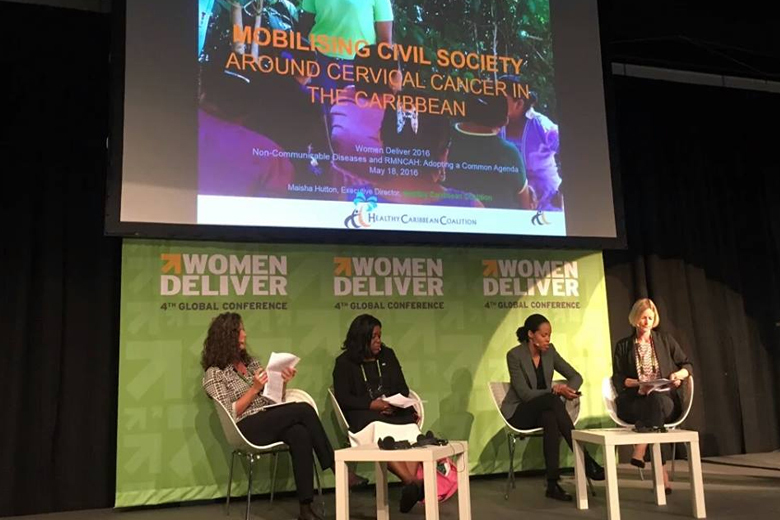 This year with the support of the NCD Alliance, Maisha attended once again and presented HCC’s work around women and NCDs and in particular cervical cancer advocacy. The conference was a tremendous experience bringing together advocates, activists and global leaders around a collective commitment to prioritising the health and well being of women and girls. Dominant themes included partnerships, agency, integration, information, accountability and the centrality of male inclusion. 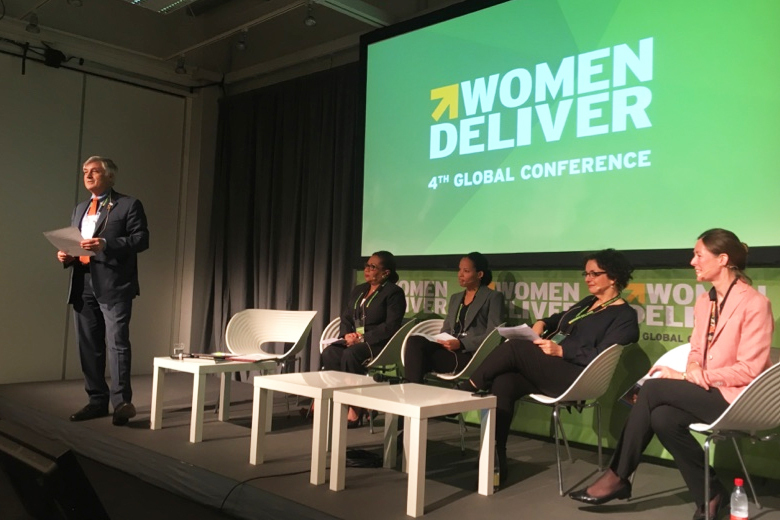 The great news for the NCD community was that awareness of the need to address NCDs in the women’s health agenda is growing as demonstrated by the presence of 3 NCD related sessions hosted by the NCD Alliance and partners. The not so good news is that this isn’t enough and falls woefully short of where it should be given the impact of NCDs on women. Of the 112 sessions, NCDs represented less than 3% of the airtime at the entire conference. NCDs (including mental health) are the leading cause of preventable deaths and disability among women globally causing 18 million deaths among women in their most productive years. Tackling NCDs is central to advancing women’s health and development, and vital to safeguard the gains already made (NCD Alliance Women and NCDs Call to Action). There is a need to integrate NCDs into the Women’s Health Agenda and in particular into existing health programmes and services for HIV/AIDS and along the entire continuum of RMNCAH (Reproductive, maternal, newborn, child, and adolescent health) and across the life-course. Given the significant burden of NCDs on women, NCDs should be given greater prominence in this civil society space amongst those who fight passionately for the rights of women and girls. The NCD community must do a better job to build awareness and create champions among women’s rights activists. 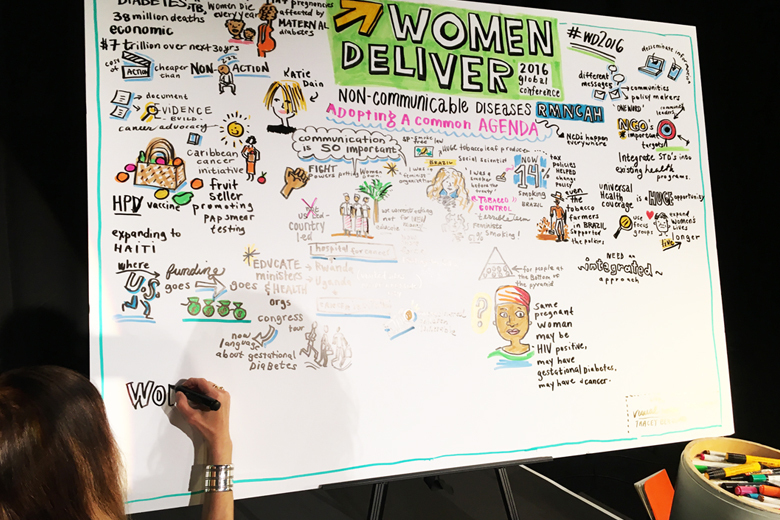 NCDs should be featured strongly at WD2019 in the plenary session – commensurate with their global burden. Support of multisectoral mechanisms with a strong representation of gender interests to adequately respond to NCDs from a gender perspective. 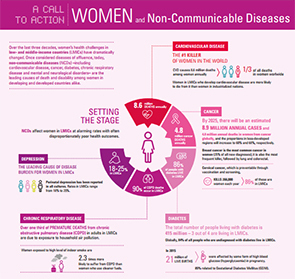 Check out this amazing NCD Alliance Call to Action on Women and NCDs infographic. Read Priya Kanson’s blog from the event. Priya is the Advocacy Officer of the NCD Alliance.